It's clear to most IT security practitioners that if you only monitor for change through periodic scans, you are probably missing changes that can introduce risk or cause non-compliance. Real-time monitoring seems to offer the panacea by allowing you to detect every change that happens, as it happens. But given the number of devices in the average enterprise IT infrastructure, you may be capturing so much data that you can't possibly see the changes that actually spell trouble. - Which parts of your IT infrastructure are suitable for real-time monitoring? - How do your monitor the IT estate without overloading the system? - What benefits should you expect to gain from real-time monitoring? 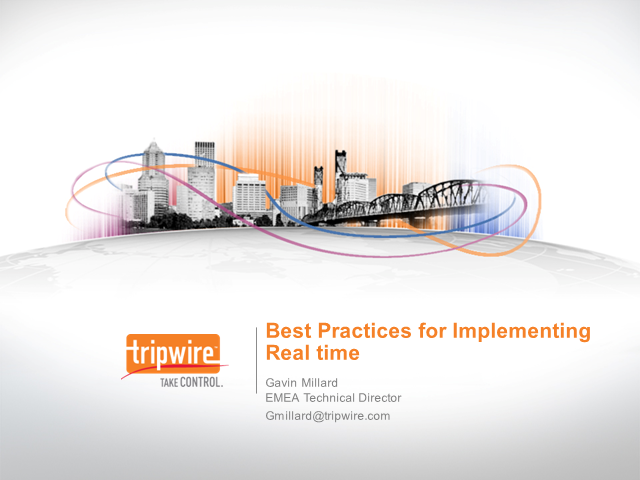 If you are interested in learning more about best practices for implementing a real-time monitoring solution, register for this webcast and tune in to learn from someone with firsthand, practical knowledge of what works and what doesn't.